Life Down Our Lane: Lions and Tigers and Bears, Oh My!! Mrs. Linda and Mrs. Rheda put together an awesome Safari for the Preschool and Prekindergarten kids yesterday! 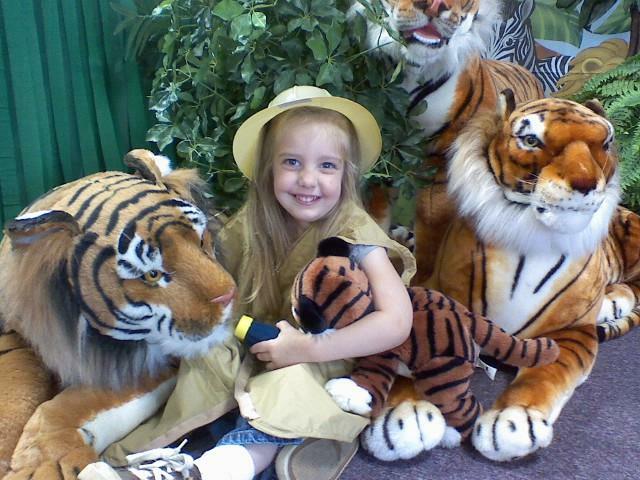 Here is a picture of Gracie posing with all her Jungle Friends.